Dimensions: 12.6" x 9.5" x 2"
Gerhard Hahn dreamt up Worry Eaters when he was wishing (and hoping) for a monster to come gobble up his adult stresses. He began sketching a friendlier version of his vision as a way for kids to cope with their own fears. 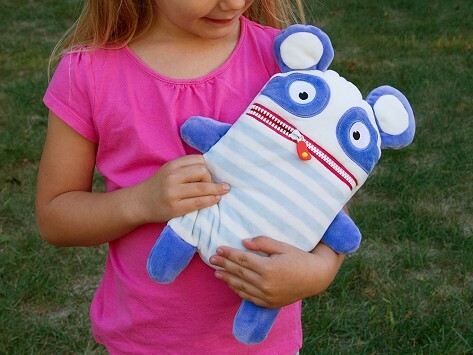 On top of the emotional good they can do, Worry Eaters are incredibly soft and cuddly—something most any kid can appreciate.